Recent revelations about government surveillance of citizens have led to questions about whether there should be better defined boundaries around privacy. Should government officials have the right to specifically target certain groups for extended surveillance? United States municipal, territorial, and federal agencies have investigated religious groups since the nineteenth century. While critics of contemporary mass surveillance tend to invoke the infringement of privacy, the mutual protection of religion and public expression by the First Amendment positions them, along with religious expression, comfortably within in the public sphere. 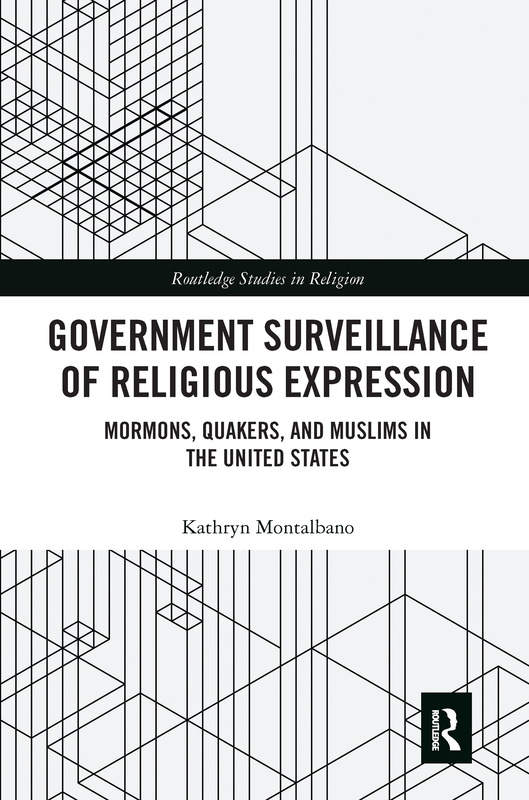 This book analyzes government monitoring of Mormons of the Territory of Utah in the 1870s and 1880s for polygamy, Quakers of the American Friends Service Committee (AFSC) from the 1940s to the 1960s for communist infiltration, and Muslims of Brooklyn, New York, from 2002 to 2013 for suspected terrorism. Government agencies in these case studies attempted to understand how their religious beliefs might shape their actions in the public sphere. It follows that government agents did not just observe these communities, but they probed precisely what constituted religion itself alongside shifting legal and political definitions relative to their respective time periods. Together, these case studies form a new framework for discussions of the historical and contemporary monitoring of religion. They show that government surveillance is less predictable and monolithic than we might assume. Therefore, this book will be of great interest to scholars of United States religion, history, and politics, as well as surveillance and communication studies.